The Container Store finally opens in Michigan! I was invited to a private blogger preview event a few days ago where we were able to check out the store before it’s grand opening today. If you’ve never been in The Container Store, which I haven’t, you will be stunned with how amazingly organized everything is– and it has to be right? I mean, hello! But honestly, I’ve never seen a store quite like this one before and I instantly fell in love. I love to keep a clean, organized, and tidy space whether that’s my room, kitchen, bathroom, or living areas. If it’s not clean and tidy I feel like not only is my room cluttered but my mind is cluttered. The Container Store has storage options for you that you didn’t even think you needed! It’s incredible! During our tour I saw some pretty innovative storage ideas that I wouldn’t have thought of on my own. 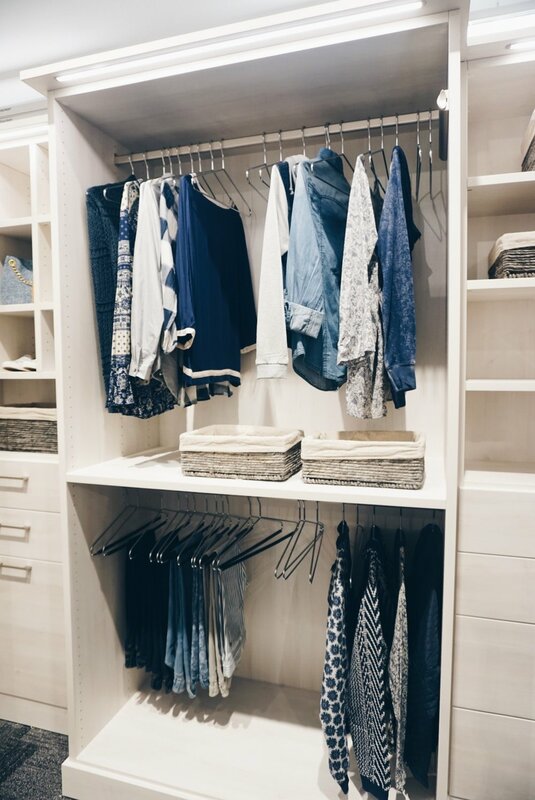 My main area of focus for my family would definitely have to been closet storage solutions. There are just too many clothes and items in our house that no matter how many we get rid of, we can never find a way to properly organize it. Luckily for us, The Container Store has an amazing elfa shelving unit that would be perfect for my family’s storage needs! I’ve never wanted a closet solution as bad as this one before. It’s genius. The new store in Novi is the very first location in Michigan, with a second one opening in Troy in the fall. The store is 22,000 square-feet and features more than 10,000 multifunctional and innovative products. No other store offers the breadth of storage solutions that The Container Store does. They have over 300 food storage solutions, 750 organized offices products, 50 types of laundry hampers, 400 solutions to organize a traveler, 70 styles of hangers, and so much more! 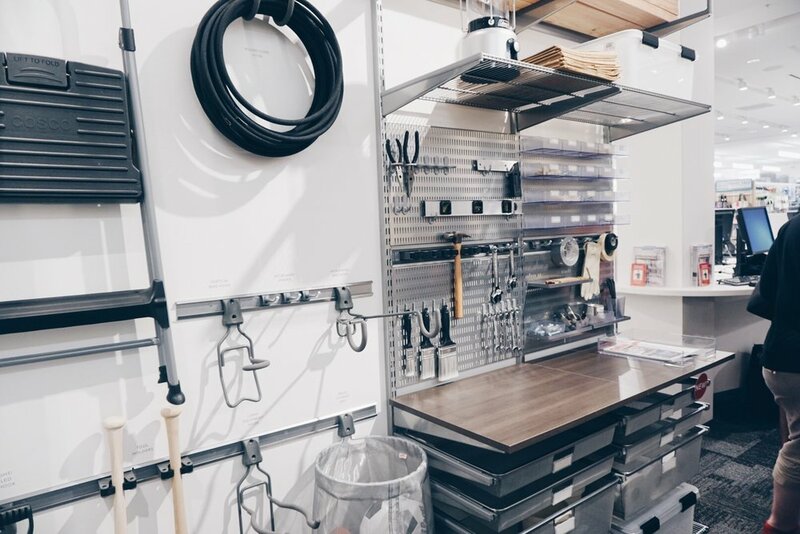 You can feel safe knowing that when you walk into The Container Store a highly trained associate will be there to help you find the storage solution of your dreams, every step of the way. Each full-time salesperson receives more than 266 hours of training in their first year, compared to the retail industry average of 7-10 hours. They are committed to helping you solve your storage problems no matter how big or small. Saturday, June 4th is the Grand Opening of The Container Store in Novi, Michigan. There will be prize giveaways every hour on the hour through the Grand Opening weekend. Including a $1,000 elf Space Makeover on both Saturday and Sunday. You don’t want to miss out! The Container Store has partnered with Forgotten Harvest for their grand opening. This non-profit organization “rescues” millions of pounds of food by collecting surplus prepared and perishable foods from over 800 sources including grocery stores, fruit and vegetable markets, restaurants, caterers, dairies, farmers, wholesale food distributers and other Health Department-approved sources. This donated food, which would otherwise go to waste, is delivered for free to over 280 emergency food providers in the Metro Detroit area. The Container Store will be donating 10% of the Grand Opening weekend sales to Forgotten Harvest!